The capital of Guatemala and the largest city in Central America, Guatemala City is in the process of reinvention. Home to many museums, galleries and transport hubs, recent pedestrianisation of certain areas is attracting more cafés, bars and consequently, tourists. Parque Central (Guatemala City’s central plaza) is a good place to start. Shine your shoes, pick up some ice cream, maybe even catch an open-air political meeting before exploring outward to find museums, churches and markets. Animal lovers should check out La Aurora Zoo; it compares well to others in Central America and the huge grounds alone are worth the visit. Cool down amongst the eucalyptus trees in Parque Minerva before checking out an unusual monument – Mapa en Relieve. This massive open-air map of Guatemala, scaled at 1:10,000, is bizarre but interesting to look at, especially from the panoramic viewing towers. The vertical scale is forgivably exaggerated to make the mountains and valleys look more impressive, and Belize is interestingly shown as part of Guatemala. The country refused to recognize the new nation of Belize in 1981 when it was granted independence from the British Empire, and disputes continue to this day. The city has a large selection of museums to discover. Museo Miraflores exhibits finds from an important local archaeological site Kaminaljuyú, where many artefacts from the Mayan civilization have been found, amongst traditional textiles and clothing. Similar items can be found at Museo Nacional de Arqueología y Etnología, which houses a much larger array but with little origin explanation. An entire room here is dedicated to stunning jade masks and sculptures. Museo Ixchel is named after the goddess of textiles (amongst others) and her museum does not disappoint with its admirable selection of traditional arts. The slightly more unusual Museo del Ferrocarril, however, specialises in documenting the history of the Guatemalan rail system. You can even climb around in the passenger carriages if you wish! Walking around Guatemala City is an intriguing experience, but must be planned ahead as finding oneself off the beaten track is inadvisable here. The following options are free, and can all be downloaded for use offline via the ‘GPSmyCity: Walks and Articles with Offline Maps’ app. Posted by user Sabina, this self-guided tour is less than 2km long and should take around 1 hour. As a self-guided tour there is no scheduling pressure, so you are free to come and go as you please, and you will want to take a closer look at some of the landmarks along the way! The tour begins at the railway museum, before moving south through the centre passing by beautiful art and architecture, before finishing at the natural history museum Museo Nacional de Historia. Please be aware this museum closes at 12pm on the weekends so start this tour early if you want to get in to the exhibits! An insight into the daily lives of this city’s citizens, this self-guided tour is a 1 hour jaunt round some of the most fascinating and ‘real’ local’s spots of the city. It starts at Café de Imeri and ends at Cerrito del Carmen. Below you can find more popular (but not free) activities and tours in Guatemala City. 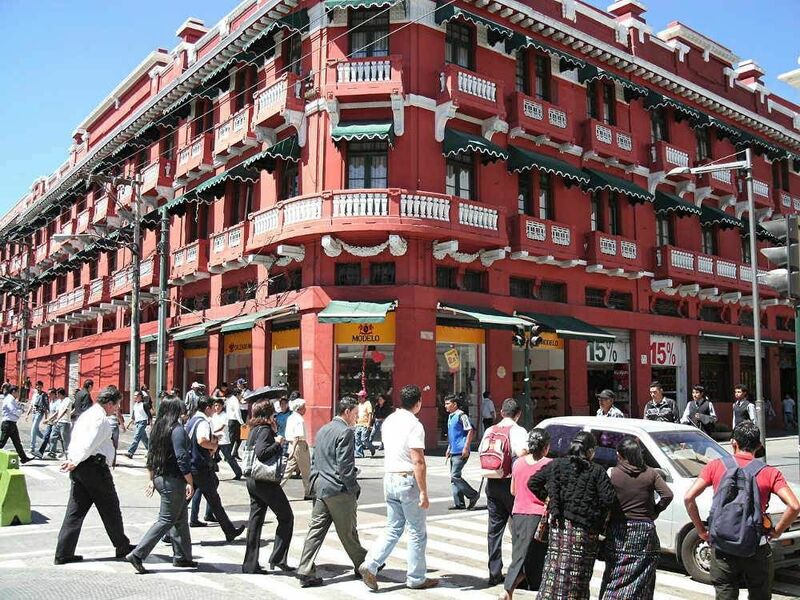 Are you from Guatemala City and want to be a tour guide? Please get in touch by submitting your details on this page!